When it comes to the use of essential oils from different natural products, the history goes back thousands of years. What you see today in stores, retail shops and online in terms of essential oil products has actually not changed much in the past several thousand years. The oils are mentioned in many different writings of the time including the Bible which demonstrates just how common and prized they were. 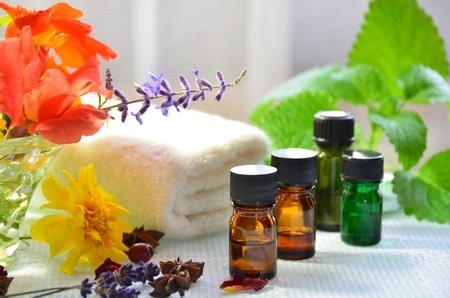 Essential oils are used in many different products from soaps to aromatherapy and more that provide for the good health and wellbeing of people around the world. For many, these oils are part of the daily routine as they have been for so many generations before. Today, these products make for great unique gift ideas, aromatherapy gifts, bath essence soaps and even used in essential oil diffuser units or directly as topical aids or consumed internally as directed. The oil can best be described as the pure essence of the product from which it came. For example, instead of having to peel and eat an orange, all the essential properties are used. While there are different methods used to create the oils, arguably the most basic and popular one is the distillation process. This particular process that uses steam dates back at least 5000 years. During the fifth century AD, a writer known as Zosimus of Panapolis actually refers to the distilling of panacea and divine water which is not much different than what we see today. The basic distillation process was used for thousands of years in a crude, but effective form. During the Middle Ages, the oils that were produced from the distillation process were often used as perfumes, in tonics to ease digestive issues, cooking and even for trading. What is even more interesting is that the oils were created in different parts of the world even though there may have been no direct contact between the civilizations of Europe and Asia during this time. A variation of the traditional distillation process by the Ancient Greeks and Romans which only used water was the combination of fatty oils, flowers and roots that were placed in glass containers and exposed to the warming rays of the sun. After a period of time, the oils were then separated from the fatty oils to create a type of essential oil substance. Advances in the process were seen in Arabia around 900AD, which also described more uses for the oils, which includes applying topically for massages and the like. In this part of the world, the refinement of the traditional distillation process reached new heights when the cooling system was improved. Today, it is still distillation that is the most common of the processes used to pull away the oils from the plants. Despite being thousands of years old, the technology of this process is still preferable because it can pull away the vital components at lower temperatures than old fashioned boiling which does present a few dangers in creating the product. What are their Basic Benefits? The benefits of using the oil, whether distilled in the traditional process or from another form are many and they are being used on a daily basis. For many people, having these oils in their home is commonplace and a part of their daily lives. Aromatherapy: One of the interesting effects of many essential oils that may have been discovered accidentally is how they make a person feel when properly inhaled. When released into the air the oils enter the nose and actually touch the brain which in turn responds in a positive manner. This form of therapy has been used to help reduce anxiety and stress while lifting the spirits. Bath Essence: Whether adding a few drops to the bath or as part of the many different soaps that are used, having this type of oil will not only release some of the oil into the air to be breathed in, but it can also be applied topically which will soothe the skin and create a more pleasing bath experience. Soothing Common Ailments: In some cases the oil may be consumed internally in small doses to relieve a number of different ailments. Generally speaking, many of these oils will help with digestive issues and more. However, as with any product that is consumed directions must be followed and if any adverse reaction should strike, be sure to get medical treatment, especially in the case of an allergic reaction. Essential Oil Diffuser: Here, the oils are placed in the diffuser so that they can be released into the air itself. This will not only fill the room with the pleasing scent of the oils, but also help create a more soothing, peaceful atmosphere that will be appreciated by one and all when they enter the room. There are many different benefits and uses of these oils which people have used for many thousands of years. As part of your daily life, essential oil can bring a number of wonderful benefits that will be enjoyed by you and your family. When you consider all the advantages that having these oils in your home can bring, the benefits can be considerable in helping to improve your overall mood and have you feeling more relaxed and comfortable which is very important in today’s world. This article is solely for informational purposes only. It is not intended to treat, diagnose, cure, or prevent disease. Always consult with your primary care physician before making any changes to your health and wellness routine.